Kids are a hyper and restless individual. There are just too many questions and wonder going inside their brain and that's the reason why you can't tie them down to behave and make them do nothing. When I have too many things to do and need some quiet time, I bring out my secret tools to make my kids behave. I bring out paints and brushes. The house is at peace whenever my kids paint, and they won't even let you disturb them. They fall into a trance when they create lines and shapes using paints and brushes. When we go out and eat in a restaurant, I bring out their crayons and pencils. Wherever we go, I make sure I have their pencils and crayons with me. 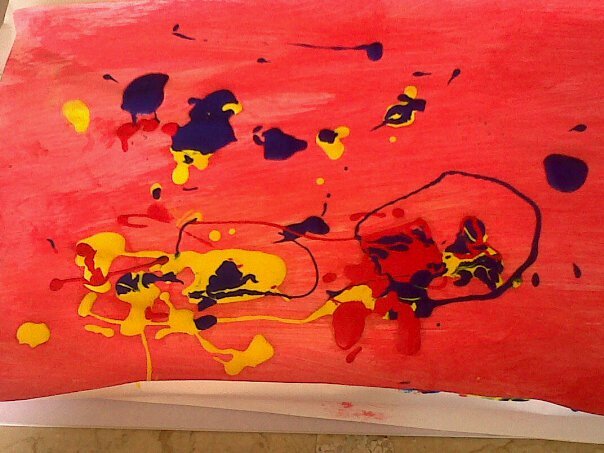 Letting the kids create Art not only bring you peace at home. It also helps the kids creativity and you can use their artworks to decorate your house. Frame them and treasure them forever. Don't like paint splatters to mess up your house? 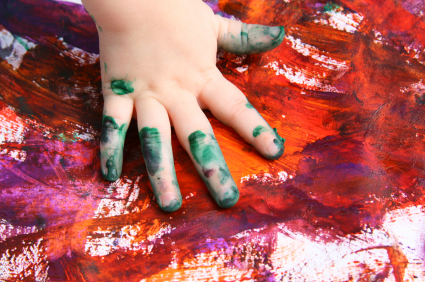 Don't worry, there are many washable paints now or you can bring out some arts and crafts materials. For your girls, let them create their own girls party dresses collection. Make the pattern and let them sew it or give them a made one and just let them embellish it with rhinestones, glitters, and beads. Who knows, they might grow up to be a great fashion designer.